National Health Safety Network: NHSN is the nation’s most widely used healthcare-associated infection tracking system. NHSN provides facilities, states, regions, and the nation with data needed to identify problem areas, measure progress of prevention efforts, and ultimately eliminate healthcare-associated infections. Emerging Infections Program: EIP engages a network of state health departments and their academic medical center partners to help answer critical questions about emerging HAI threats, advanced infection tracking methods, and antibiotic resistance in the United States. Information gathered through this activity will play a key role in shaping future policies and recommendations targeting HAI prevention. Hospital Compare is a consumer-oriented website that provides information on how well hospitals provide recommended care to their patients. The site allows you to compare two or more hospitals based on an array of patient-centered data, including their CDI rates. 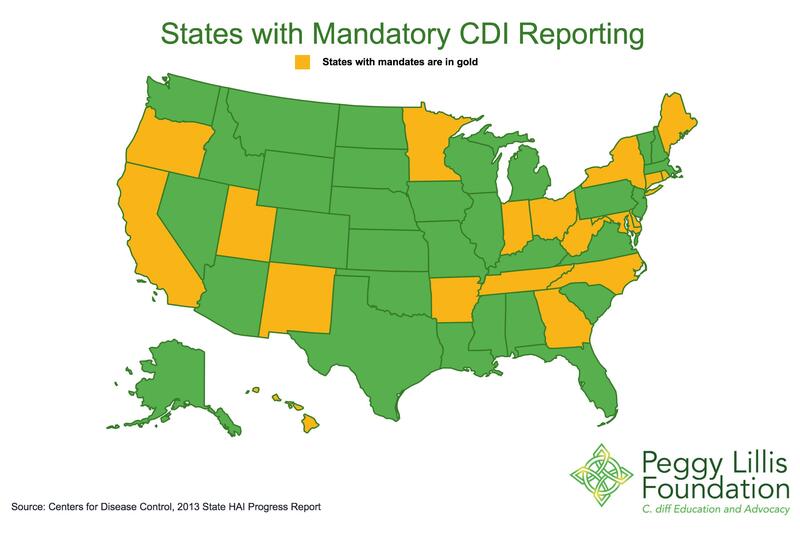 Starting in January 2015, acute care hospitals participating in Medicare and Medicaid are required to report positive C. diff lab results as part of CMS’ Hospital Inpatient Quality Reporting Program. CMS is currently finalizing the addition of CDIs and MRSA infections to its value-based purchasing program. The VBP imposes financial penalties on hospitals that perform poorly with regard to hospital-acquired conditions. To learn more about the laws in your state, please visit our In Your State database.